MANILA, Philippines - The Polytechnic University of the Philippines (PUP)- Manila officially announced on Tuesday, March 10, 2015 the full results of PUP College Entrance Test (PUPCET) for Academic Year AY 2015-2016. 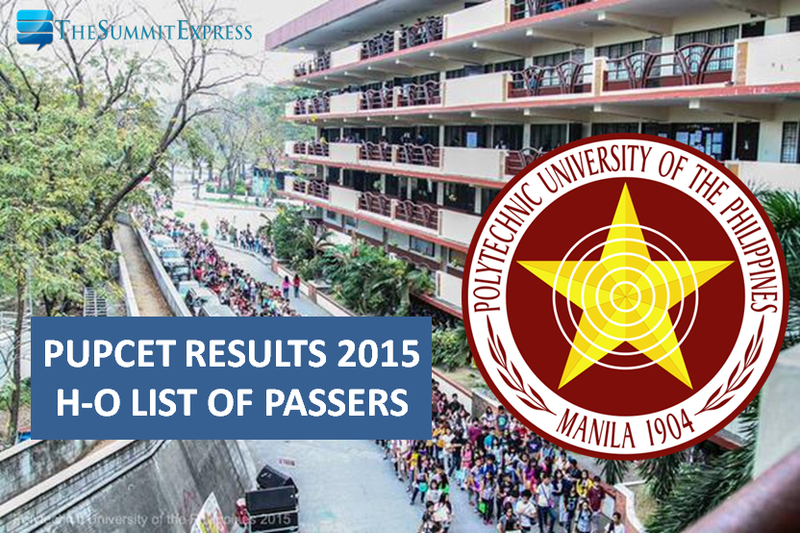 The complete list of passers and waitlisters are now available online. The online confirmation will start on March 12, 2015, the university said. Last Friday, PUP has shared online the target release date of PUPCET results to ease the agony of waiting on the part of the examinees. The 'Poor Man's University' advised that each campus has an allotted specific date to show the list of its successful examinees. Confirmation of slot and schedule of application are done through the university's website, and failure to confirm slot may result in the cancellation of admission to the campus. Takers may call the PUP Admission Services hotlines (+63 2) 335-1798 to 99) and (+63 2) 335-1797 for PUP Branches and Campuses for other inquiries or question about the PUP College Entrance Test. The entrance exam in PUP, conducted annually screens high school student or a high school graduate whose academic performance is above-average and has a good moral character. Those who are qualified in the PUP College Entrance Test (PUPCET) based on the cut-off score for the upcoming school year are the following: graduating high school students of the current year with a General Average of at least 82% or higher in first three (3) years in high school or High school graduates with General Weighted Average of 82% or higher in the first three (3) years in high school and with a General Average of 82% in the Fourth Year and and have not enrolled in any diploma/degree program immediately after high school graduation.